Add me to your mailing list We never share any of this information with third parties. On your first trip to an online casino, you will soon see the many different forms of blackjack games that are available. The most popular and most common form is Vegas Strip Blackjack. This is the classic form of blackjack. It has a rather low house advantage and uses standard rules. Double Exposure Blackjack is another form of blackjack. In this form, all cards are "exposed" which means the dealer's cards are exposed as well. Blackjack Switch is a form of blackjack. In Blackjack Switch, you are dealt two hands and can switch the cards between both hands. Choosing the blackjack strategy to play with these forms of blackjack can be difficult. However, if you stick to the basic strategies for regular blackjack, you should still be in good standing. Winning an online blackjack tournament is more about luck then skill. However, with a decent strategy, your edge is raised over the house and other players. It can be quite a bit of fun to play against other players rather than playing against the house. Almost all of the online blackjack sites offer regular blackjack tournaments as well as tournaments for many other games. 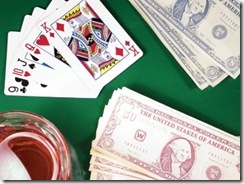 The most popular blackjack tournament is Elimination blackjack. If you use the basic strategy for blackjack, you have a decent chance of winning against the other players. This is especially true if you are playing against players who do not rely on the odds to win. You generally see progressive jackpots in slot machines. However, they are gaining popularity when it comes to blackjack as well. This means that you are going to need to place an optional bet on the side in order to have entered into the jackpot. Playing progressive blackjack is the same as playing classic blackjack. However, the option to surrender is not there. Blackjack Switch is a game that raises the player's odds substantially. You can play two hands at the same time and switch your cards between both hands. You will have to place two best that are the same amount and then you are dealt two different hands. You can switch the top card any way you want between both hands. Obviously, the player has taken a huge advantage. To make the odds higher for the casino, the dealer will automatically tie at 22 when the player has 21 or under, unless the player has a natural blackjack. If the player has a natural blackjack as does the dealer, the dealer wins. Even though there are some faults to this game, Blackjack Switch is a great game because of the switch rule advantage. You can double down or split your hand as normal. Blackjack is a very interesting game but many people consider it to be complicated due to many existing strategies and rules. You need to practice a lot in order to know how to play black jack games. Learn online blackjack betting strategies. Practice ones skills in online casinos.